Am looking forward to the Santiago Race. Till then I have the Rolex 24 cranked up. F1 veterans Massa, Vandoorne, and Buemi did not cover themselves in glory. It's becoming a habit for Felipe and Stoffel. Was hoping that Wehrlein had something more for Bird at the end. Both were down under 5% of battery life at the end and were limping home. You have to be impressed by the start that Wehrlein has made, he might have podiumed last time out as well if his car had not failed. Actually Wehrlein had more battery life than Bird but he had to slow down because his battery was over heating due to a combination of high ambient temperatures and following Bird closely for several laps. Having attendend last year's Rome e-Prix, i have to say those cars looks much quicker than first generation ones! And can race even better thanks to the extremely low drag concept. You got a good view there gamer, i went to the London race in season 1 and it was really hard to get a decent view with the number of people there and all the ad boards around he circuit. Enjoyed the race. Very strong performances by Bird and Wehrlein; a deserved top 2! Stunning Quali performance from Wehrlein. Massa 3rd will fight for the victory too! That was an intense final 2 laps. Wow, those last 2 laps were just nuts. Nissan stuffed that up good and proper. Love Nicholas and Dario as a commentary duo, so easy to listen to and generally well informed. Don’t like Varsha though, he adds nothing for me; his input is usually pointless and followed by an awkward silence. Brilliant stuff from Werhlein even though you knew he had a penalty so very very nearly held him off. 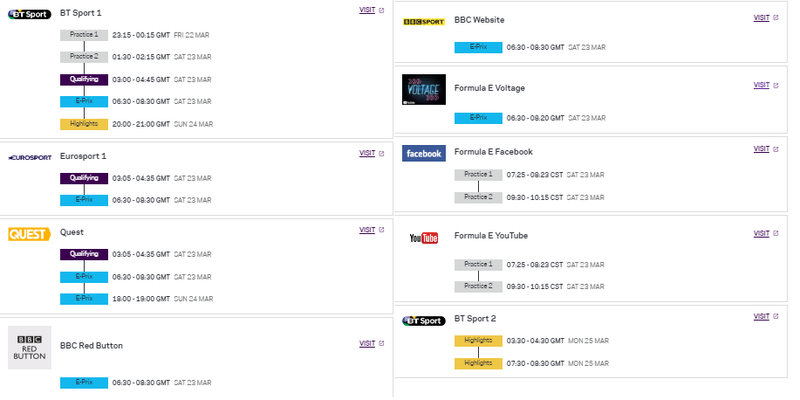 Formula E is becoming a must watch! Agree on the commentary too very natural and easy going. I don't understand why they are so inconsistent with how they put out the races. Last time I wasn't able to watch live the race was uploaded within 2 days to YouTube in full but there's still no sign of the Mexico race on there. I can watch practice and qualifying in full. 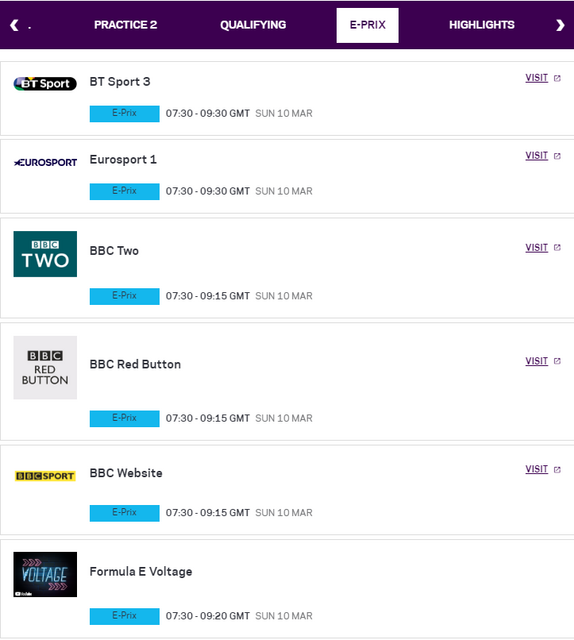 I could even watch the full race if I wanted half the screen covered with some famous YouTuber's faces, who clearly have barely a passing interest in motorsport, so I can watch them watch the race. They stream Practices & Quali, but not the race. Riyadh was a one off beacause it was the first race of the season. 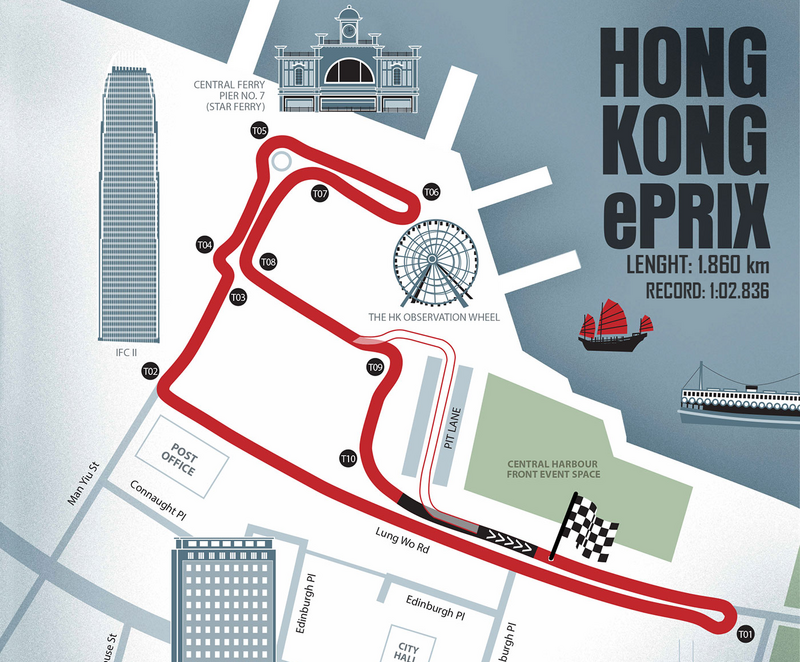 HONG KONG E-PRIX COMING THIS SUNDAY! 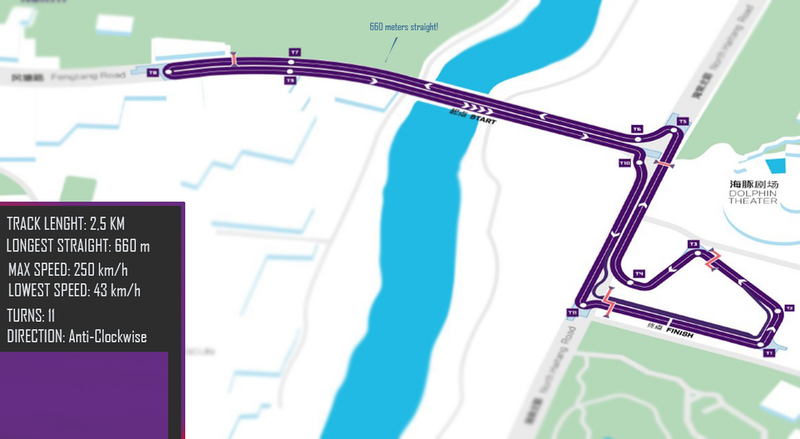 Probably the tighest Formula E track together with Paris. Should be an hectic race! Toto Wolff presented the Mercedes Formula E program, today! the circuit will be part indoor and part outdoor! It looks more black than silver. Doesn't really say 'Mercedes Silver Arrow' to me. Well, it's a concept livery, will be grey for sure at the launch! Race coverage timings for tomorrow morning! Just watched the replay on iPlayer, another good close race. Lots of contact and retirements, kind of expected on such a close track, shame about the last lap (saying no more for spoilers sake) but good race overall. And credit to the marshals for getting the cars out of the road so fast to get the race going again. I watched the early part of the race, mainly because Stoffel had pole. I will read up on the reasons why he dropped away further and further before retiring, but I'm still as put off by the silly "city" tracks as I was when the series started - I've seen people drive bumper cars more successfully at the village fun fair. If this is the future of motor racing, I'm going to have a lot of spare time soon. I am trying to like Formula E. I really am. I really struggle to enjoy it, despite the close racing and unpredictability. I find the artificial unpredictability boring! It is akin it to glorified bumper cars, on tracks that are far so narrow made to near guarantee contact happens regularly. I really hate fan boost too, and attack mode..... its so playstation. It's just too gimmicky and artificial. It might be exciting, but I find it a bit well.... low on racing quality and yeah.... a bit mickey mouse... every race seems to follow very similar patterns, on very similar tracks. I think its easy to mistake unpredictable for good. Tbh, the circuits are 90% of what make it unenjoyable. Last edited by Badgeronimous on Mon Mar 11, 2019 5:20 pm, edited 3 times in total. I feel FE has outgrown many of these circuits in the same way F1 has outgrown Monaco. Let’s try out a few touring car sized tracks instead of go-kart tracks. Fanboost needs to go too, it’s just the same cars getting an unfair advantage every race. Did Sam Bird get to keep his win after he punted Lotterer into retirement? Nope, he got a 5 second penalty. The last two races have been very exciting. I'd forgotten what it was like to have two cars at the front of a race genuinely competing for more than just 2 and a half laps before the car behind had to give up due to aero / tyres. At first I wasn't convinced and I found the lack of engine noise off putting, there was only tyre squeal, but they have improved the volume of the engine whine now to something that gives a better impression of power & speed. I know the courses are a bit Mickey Mouse, especially that awful thing at the Berlin airport, but I'm certainly warming to the series. Yeah I see that dropped him down to 6th, justice served I would say. That's one thing you can pretty count on F-E for. If someone does something that should get a penalty, they almost always will. Very little concern for altering the race win or even the championship. F1 would probably be scared to strip a race winner post-race these days. Well they have kicked Verstappen off the podium a few times. In respect to the FE cars they do seem designed to cope with nerfing opponents out of the way, the fragile front wings of a F1 car would probably shatter in the Bird incident so that kind of incident in F1 tends to be self policing. I saw JEV ram a car from behind and basically just punt it out of the way with no damage whatsoever to his car. Every single race weekend, just when I'm starting to really get into Formula E, the commentators bring up FanBoost and I remember that it's still there - blotting the respectability of the championship. Cheers, although I have it on series record now it's nice to know when the races are on and the timings. It's amazing how close the championship is Lotterer is 10th in the championship but would've been 2nd if he won the last race.